A recent study published in JAMA Surgery found that when it comes to reporting conflicts of interest in regards to compensation from medical device companies, doctors aren’t always completely forthcoming. Researchers discovered that only 37.3 percent of publications written by a sample of doctors receiving the greatest compensation from device companies declared all relevant conflicts of interest. “A large discrepancy between self-declared conflict of interest and the Open Payments Data among the physicians receiving the highest compensation from surgical and medical device manufacturers needs to be addressed,” the authors of the study wrote. It's not unusual in the medical world for doctors to get some sort of compensation from outside companies. 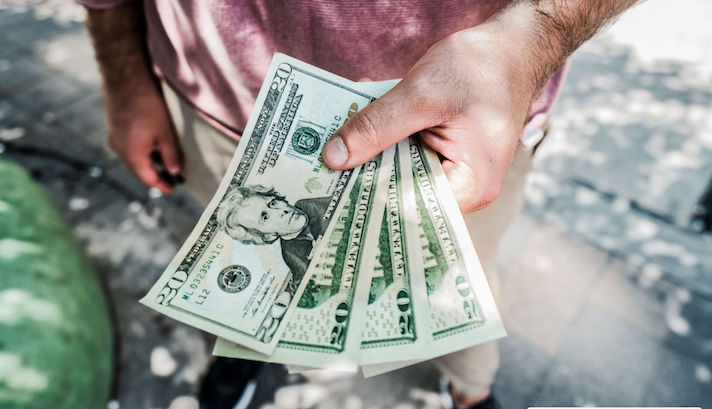 In fact, according to researchers in the study, 94 percent of physicians in the US get some a form of compensation from an external company, the most common type being food and beverages. When a physician is publishing an article or research study, the International Committee of Medical Journal Editors requires the authors to disclose any relevant conflicts of interests within the last three years. However, for years enforcing this requirement was easier said than done because there wasn’t a reliable source to confrim any conflicts of interest, the researchers wrote. But that changed in 2010 when a government mandate required that any payments made to doctors from medical device companies be reported. Then, in 2010 CMS launched an Open Payment Database which housed the information. In this study, the researchers focused on 10 companies in the space including Medtronic, Stryker Corporation, Intuitive Surgical, Covidien, Edwards Lifesciences Cooperation, Ethicon, Olympus Corporation, Gore & Associates, Life-Cell Corporation, and Baxter Health. They then narrowed in on each of the 10 highest compensated doctors from each of the companies, creating a sample of 100 doctors. Researchers then combed through PubMed and Scopus and identified 7323 articles by the 100 doctors in the sample. Of those articles, 225 were published in 2016 (the year the researchers zeroed in on) and were relevant to general payments received by the doctors. Researches then compared the conflict of interest statements in these publications to compensations reported on the Open Payment Database. Authors of the study discovered that only 84 of the 225 identified 2016 articles included a relevant conflict of interest disclosure. Additionally, out of the 100 doctors sampled the median yearly payment came to $95,993. Out of the companies paying out the compensation, Medtronic spent the most money, according to the study. But it wasn’t just these 100 doctors getting compensation from medical device companies. Researchers found that in 2015, 139,087 physicians received some sort of compensation by those 10 surgical and medical device companies, accounting for a total of $326,863,647. However, the researchers report that the average sums received by other doctors was much less than the sample group. In the future the researchers suggest a single standardized disclosure process, for both the sake of transparency and inconsistencies.